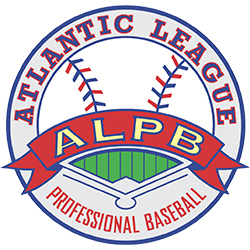 The independent Atlantic League has announced the recipients of its 2018 Post-Season Administrative/Community Honors. Winners were selected through voting from league club managers and executives. The Sugar Land Skeeters also took home two club honors in 2018. Constellation Field was named the Atlantic League’s Ballpark of the Year. After serving as a shelter a year ago in the wake of Hurricane Harvey, the ballpark this year saw the opening of the brand-new Sport Court of Texas. The area, located beyond the left-center field fence, featured two basketball hoops along with a state-of-the-art Sport Court playing surface that provides active fans with a safe and enjoyable experience. This, along with the many other amenities featured at Constellation Field, have helped make it one of the premier ballparks in minor league baseball. Additionally, the Skeeters claimed the Ray Cipperly Award for Groundskeeping Excellence. Team Head Groundskeeper Brad Detmore, Assistant Groundskeeper Robert Croteau and the entire grounds crew kept the playing surface at Constellation Field in superior condition all season long in the wake of various operating circumstances. These included weather, field traffic, financial resources and non-baseball event impact on the playing surface.